What is fall without SWEETWORKS!?!?! A bleak one, that's for sure! 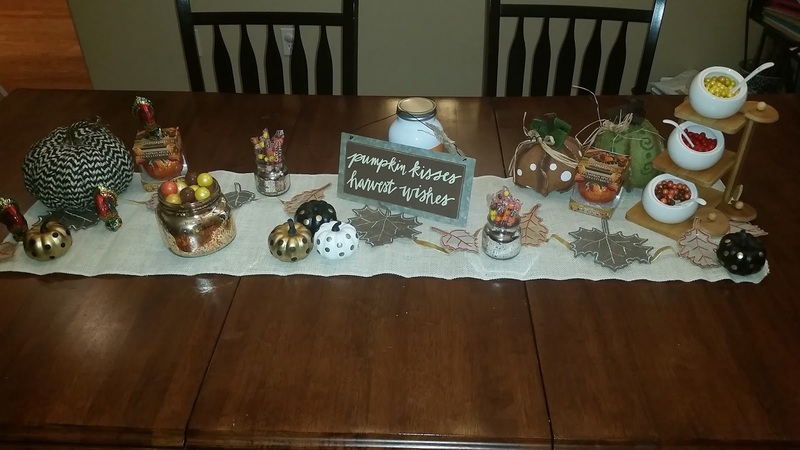 So in honor of fall's arrival, here are some fun fall FOODIE crafts to do with your toddler and of course my fabulous fall display. 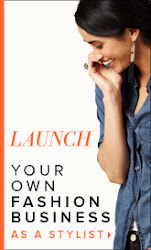 Be sure to read through to the end to enter to win a Sweetworks giveaway! I love the Sweetworks gumballs! I especially love their pearlized colors. So pretty! I like the Sixlets because they come in so many colors! I would use orange and yellow sixlets to decorate cupcakes. I would like to try the Halloween Mix Pearls Peg Pouch to make spooky cookies and brownies for the kids. 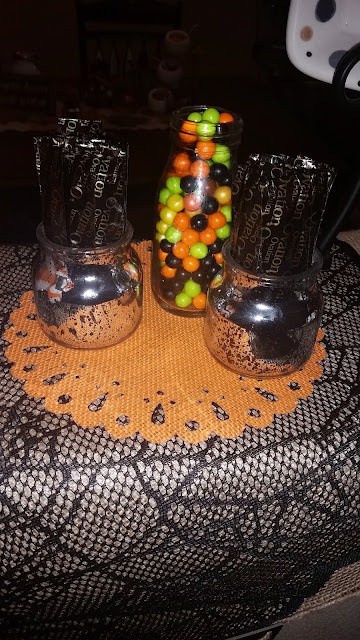 I love the color arrangement of these, would be perfect for halloween treats. Sixlets are my favorite candy! I would layer them in a glass vase for decoration and snacking. 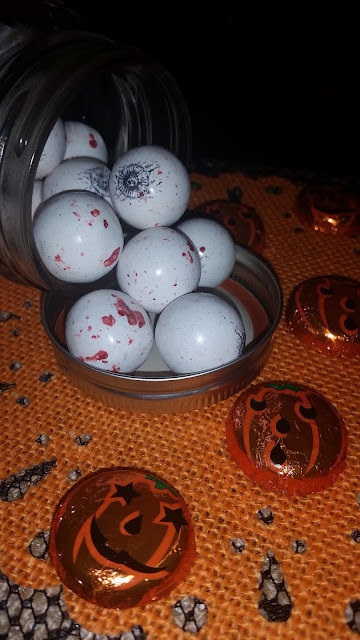 I have always loved the look and taste of Sixlets so I would definitely use those in whatever decorating I did! 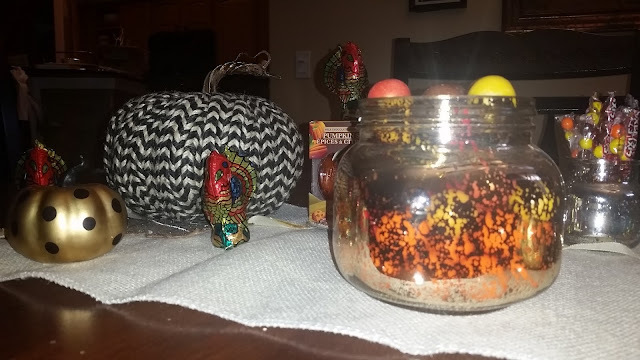 The foil wrapped chocolate pumpkins would be nice for my Halloween table with lots of sixlets of all colors all over the table. 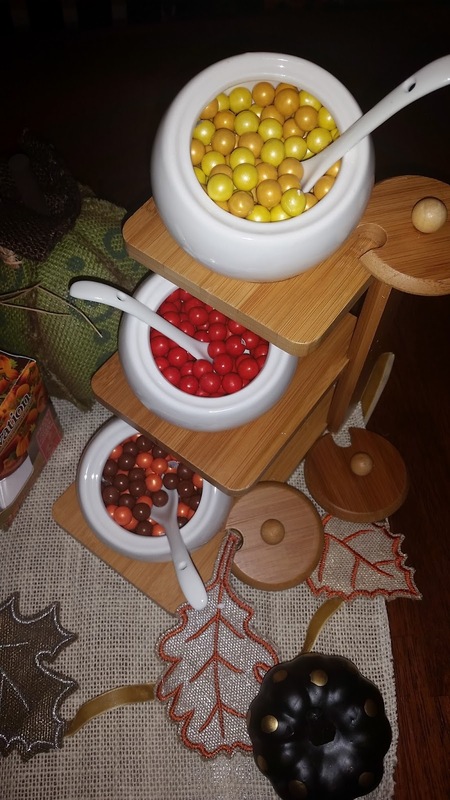 I would like to use the Sixlets as a table decoration because they come in so many colors. I would love the Foil Jack-O-Lantern Discs. They're so cute for Halloween! I'd love the Ovation Mint Sticks and Orange Sticks and the Milk Pumpkin Spice Break-A-Part, plus the Autumn Mix Pearls Sixlets. 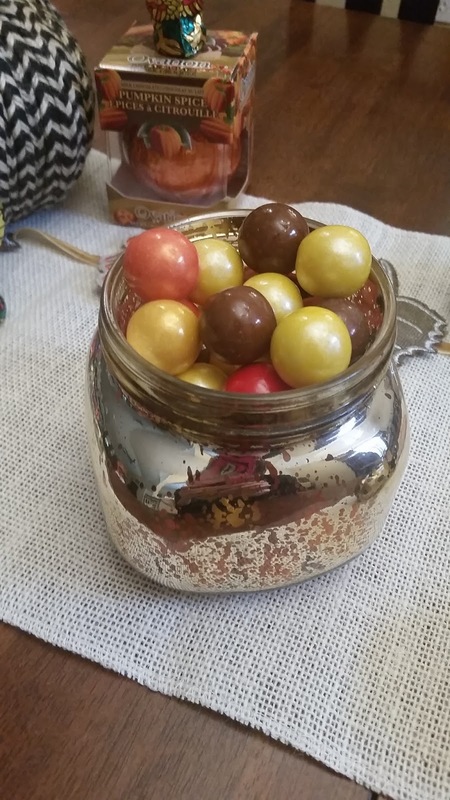 As a centerpiece in a tall glass container I would layer from large to small the Shimmer Gold Gumballs, Shimmer Gold Sixlets, Autumn Mix Pearls, Autumn Mix Sixlets and the Orange Gumballs. Sunshine Yellow and Orange Peel Sixlets, because those colors say autumn to me! The Autumn Mix Pearls would be a great choice for us to get because I could do pumpkins and turkeys with my grandkids. I know they would enjoy making them. I WOULD USE FALL COLORED SIXLETS BECAUSE THEY ARE ONE OF MY FAVORITE CANDIES. I'd use lime green sixlets to make a Frankenstein decoration because my kids would love it! 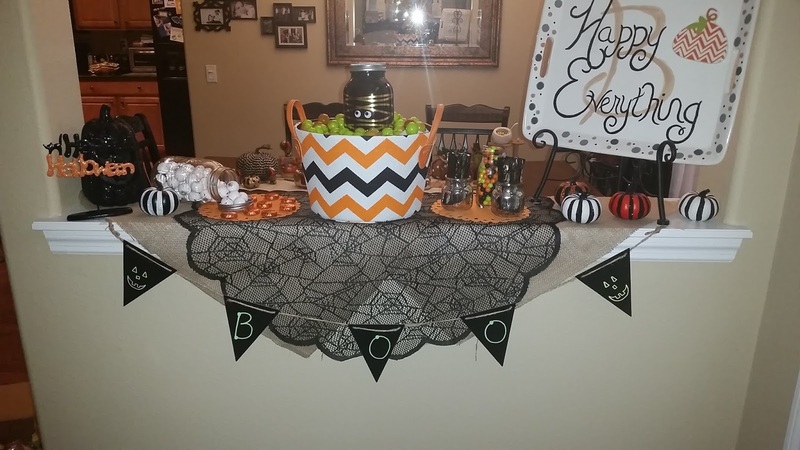 I would like to use Ovation® Dark Orange Break-A-Part in fall decor b/c it really pretty and yummy to eat. I love using Sixlets because they're so tasty, gluten free and have such lovely color options! 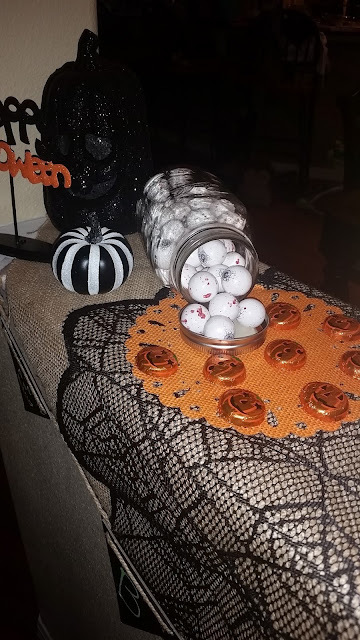 I would like to use the orange sixlets to decorate a Halloween cake. I would use the Sixlets Harvest Laydown for my decorating because they are just so darn cute. Mega Blots Jawbreakers would be a great way to keep the kids quiet! They have some great colors! I would use the Autumn Mix Pearls to decorate cupcakes. I'd love to put their black and orange skull candies inside a chocolate pumpkin. So cute AND yummy! I like the 1 oz. Foiled Milk Chocolate Turkey, for Thanksgiving. 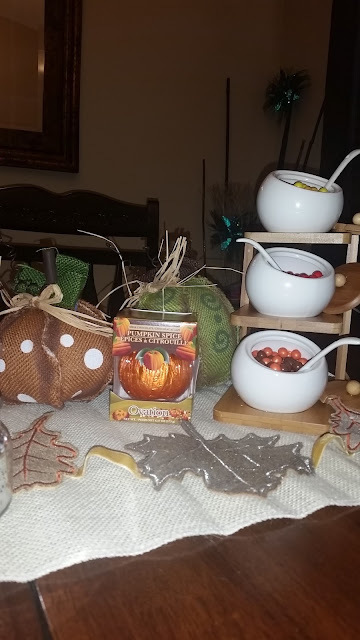 I would love to use the sixlets for my center pieces! Shimmer Turquoise Peg Pouch is my favorite because it is simple yet bold. And tastes great. I love making gingerbread houses. I would choose the sixlets for decorating! I would use Sixlets for decorating cookies because those are my absolute favorite candy from when I was a child! 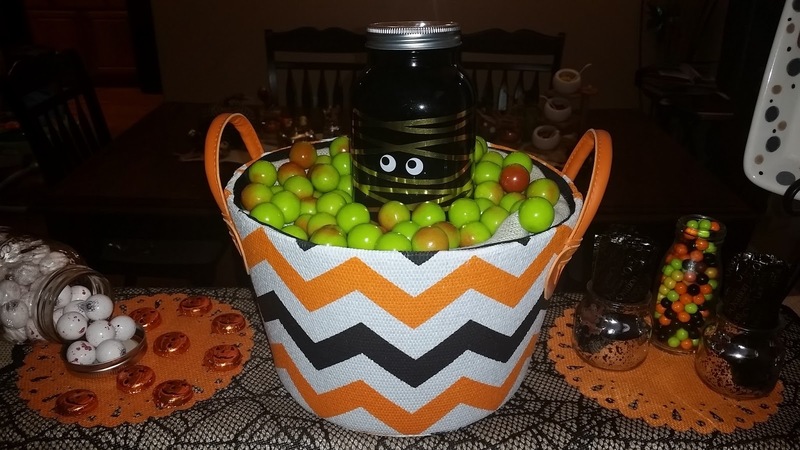 I would get the a variety of fall colored sixlets and put them in fancy jars for a cute candy decoration. I'd like to use the Sixlets so i could make turkey cupcakes. I would use the foil wrapped turkeys for my Thanksgiving decorations. They are adorable and the kids would love them! Love your settings. Very pretty and festive. I never realized that they made the eyeball gumballs! I used to pick those out of my trick or treat bag first and hide them cause they were my favorites! lshumack on Pinterest! I would use the sixlets because they taste great and come in a lot of amazing colors. I think I would use Sixlets to add some color to my cupcakes. I would like to use the Ovation Break-A-Part oranges because they are tasty and delicious! I love the dark chocolate oranges and the foiled wrapped chocolates. 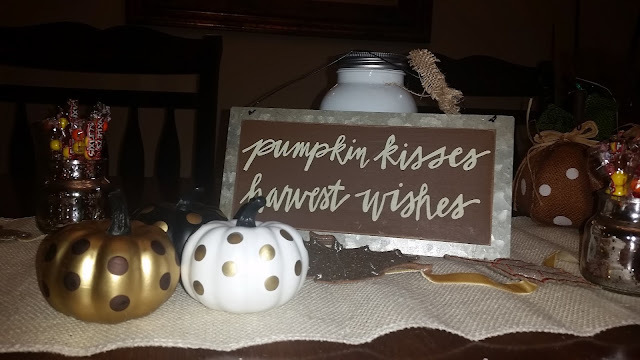 I'd love to use the Shimmer Gold Sixlets in my Fall Decorating because Sixlets are delicious and gold is a great Fall color!! The gold sixlets would add a nice shimmery touch to my Fall decorating style of 'Bring Outside In'! And... my kids LOVE Sixlets! I love the Fall colored Sixlets. Sixlets are my all time favorite candy. I want to use the Ovation® Milk Key Lime Break-A-Part Pumpkin because I live in Florida… and love Key Lime.